65 x 104" 69 x 110"
The ViewShare Tensioned Advantage 65 x 104" 16:10 Screen with HD Progressive 1.1 Contrast Surface (Full Assembly) from Da-Lite integrates an HD camera into the screen and is compatible with any free peer-to-peer video conferencing software. Designed to eliminate the extra step of finishing the screen with trim, the screen features ceiling trim already in place. Once the screen is installed, the screen's trim conceals the rough opening, eliminating the need to complete additional trim work. Sliding installation brackets are provided to make it easy to attach the screen housing to the structure above the drop ceiling. The ViewShare system screen features simple ceiling-tile installation that can be done in two stages. The screen case can be installed during the rough-in construction stage, and the fabric assembly can be completed during the finishing stage. 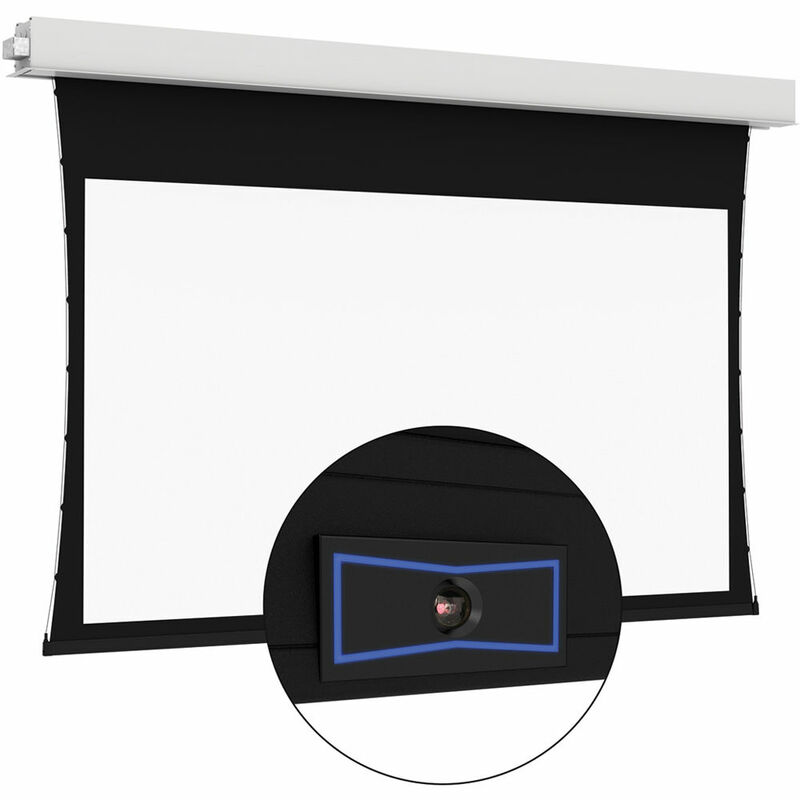 HD Progressive 1.1 is ideal for applications where projector brightness and screen size require an increase in gain. The white surface offers true color reproduction and fidelity. It also has a gain of 1.1 and a cone of 170°.